Greetings from the Auburn University Marching Band Freshman Advisors, or as we call ourselves, the R.A.T. Leaders! We are so excited to introduce you to the R.A.T. Program with the AUMB. All freshmen at Auburn University used to be called R.A.T.s; stories say that when freshmen rode into town on the train each year, they scattered as soon as they got off, and the locals likened them to “rats” scattering. While the university stopped using this term, the marching band happily carried on the tradition. Making the transition from high school to college can be a challenge, both on and off the band field, and this program will hopefully help ease your transition. It is our priority that your first experiences at Auburn are some of the best of your college career. Feel free to browse the Frequently Asked Questions page about the AUMB and Preseason Camp, and if you still have questions about band or Auburn, don’t hesitate to contact to contact any of us. 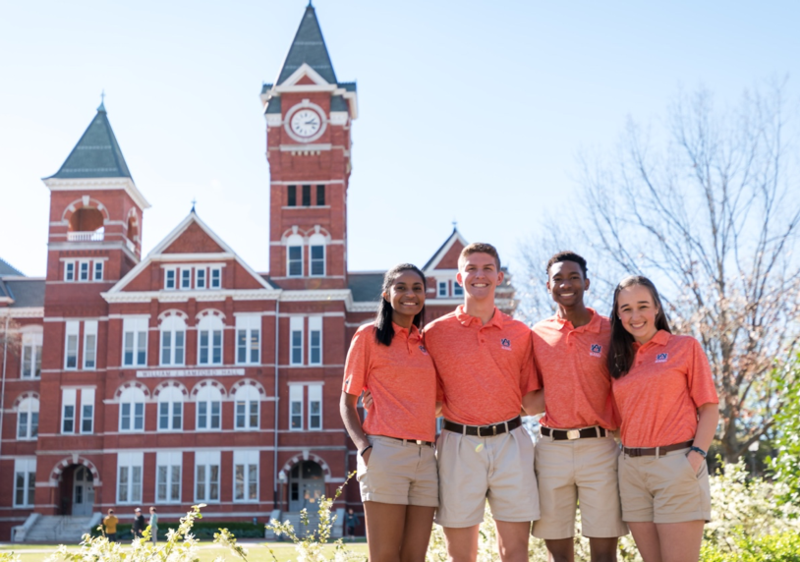 We are absolutely thrilled that you are interested in joining the AUMB Family, and we are so excited to have you here on the Plains with us! Keep checking the Preseason Camp page for updates about the beginning of the season, and get to know your Drum Majors, Section Leaders, and R.A.T.s Leaders on the AUMB Student Leaders page!